Riverfront Park gets a little more colorful on Friday. There are a ton of exciting opportunities for fun in the coming week, so get into our Staff Picks and event listings and see what floats your boat. COMEDY | A PBS mainstay appealing to duct-tape lovers everywhere, Red Green swings by Spokane for a show at the Bing called Life: I'm Not Old, I'm Ripe. FESTIVAL | Just because baseball season is over, that doesn't mean your enjoyment of peanuts must end. Help celebrate Mr. Peanut's 100th Birthday at the fair by checking out what must be the world's largest mobile nut. FOOD | Clover is hosting a Logan Neighborhood Appreciation Barbecue that will not only provide free food and fun for residents and guests, but raise some cash for the Second Harvest Food Bank through any drinks sold. LIVE BANDS | Blues-rock legend Bonnie Raitt drops by the INB for a show in support of her fine new album Dig In Deep. Read our music editor Laura Johnson's thoughts on the low-key diva, and here's a little sample from her new album, a cover of INXS's "Need You Tonight:"
WORDS | Hit up Spark Central to take part in a collaborative poetry project led by Spokane Poet Laureate Laura Read called "I Am A Town." After workshopping some original works, your poem could be published, so get your mind working! THEATER | The Modern Theater in CdA continues its run of The 25th Annual Putnam County Spelling Bee. Read our story about the play here. SPORTS | The amazing "Final Five" from the U.S. Women's Gymnastics team is part of the show for the Kellogg's Tour of Gymnastics Champions swinging by the Spokane Arena, the first stop on a 36-date tour. LIVE MUSIC | It's a big fat funky feast of tunes going down at the Big Dipper Thursday, headlined by Puff Puff Beer and including Down North, Left Over Soul and The Smokes. Can you keep up with this much funk? COMMUNITY | It's baaaaack. 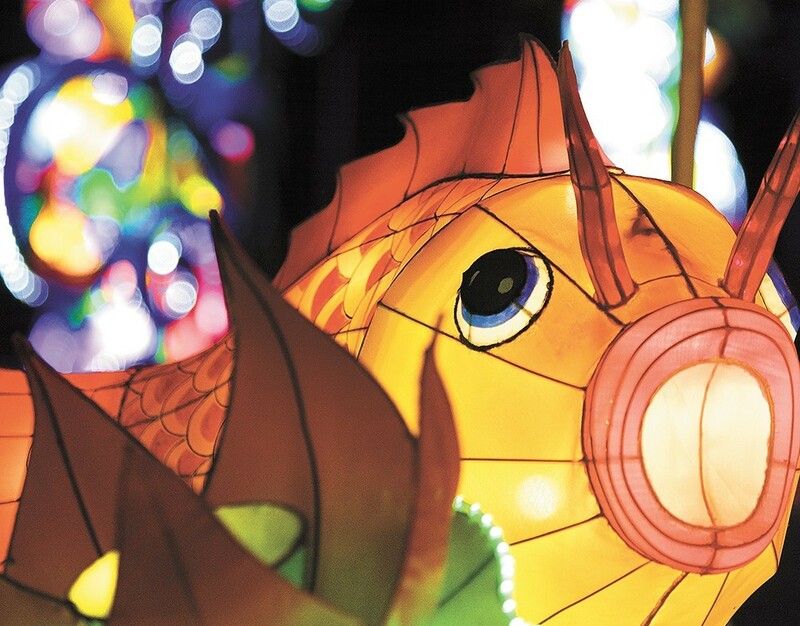 The Washington State Chinese Lantern Festival returns to Riverfront Square, because windstorms and construction can do nothing to stop it! COMMUNITY | It's a Brewtop Party at Saranac Commons, where you can enjoy some tunes from Mama Doll and beer from Black Label Brewing while learning about the work of the Lands Council. VOLUNTEER | It's time for the annual Spokane River Clean-up, one of the coolest community activities I can imagine. Taking care of the city's river seems like a really good idea.